In 1904, a Brazilian pilot Alberto Santos-Dumont asked Louis Cartier to design a watch for him that would be easy to read with bold numbers and a large dial and that’s the exact watch Louis designed for Alberto- The pilot watch. Since then, there has been a significant change in the style and aesthetics of the pilot watch but the original concept is still maintained. Pilot watches are way different from ordinary watches. They are packed with many features and functionalities that are purposely designed for aviators. So, if you are a pilot or you travel by air most of your time, you should consider buying a pilot watch. Most people today prefer wearing a pilot watch because it is aesthetically designed. If you're planning to buy one for yourself, here are the best pilot watches for 2019. Our first timepiece in our list of the best pilot watches is the Seiko’s model SNN241. This watch is a sophisticated and elegant luxury dress watch. The watch sells at an affordable price but the affordability in price does not affect its quality. It features a sleek design with a stainless steel body. It's leather band makes the pilot watch to appear a high-end timepiece, although it’s just a mid-range. You can go through the collection of The Watch Company in case you'e planning to buy one. The CARNIVAL Automatic Machine watch is ideal for men. It is beautifully designed in a military style. The watch shows the months, weeks and days and hours in a 24 hours format. The CARNIVAL features a 25 jewel self-winding movement which makes it high-quality and precise in time telling. It is a long lasting watch that you can use for years. Moreover, the case is made with stainless steel, glass, sapphire, and a durable leather band. The design of the watch is vintage-like. However, it features advanced mechanisms which keep it modern. Its hands are luminous. You just need to place it in a place with sufficient light for it to keep functioning. Another model from Seiko is the SNA411 which is also ideal for men. This watch is rounded in design and comes with a black dial. It is beautifully designed with a fluted crown. The watch is designed with three sub-dials. What’s more? The SN411 has a quartz display and can last for years. As if that’s not all, the watch comes with a powerful battery that can run for almost three years. With this watch, you can dive deep underwater up to 200 meters without having to worry about the watch getting damaged by water. The watch can be used even in low light situations. Moreover, it can withstand scratches since it is designed with a Hardlex crystal. Its bracelet is stainless steel made which makes it look attractive in your wrist. From the name, you can tell that this watch can be used even in a low light situation. But that’s not all. The watch comes from a leading watchmaker. When you hear a product comes from a leading company, what comes into your mind? Of course, it is something durable, functional, and long-lasting. That’s precisely what the Chronospace Evo Night Mission is. This watch is 43mm in size which means it is comfortable to wear. This watch is ideal for pilots who travel from one time zone to another at high speed. That’s because it will still keep the accuracy in time. If I were to decide for you a watch to buy, I would not hesitate to pick the Avi-8 Hawker hurricane. Why? Because the watch packs plenty of different features including three chronograph sub-dials. The watch is highly readable as well. It has a black face and white features. Its numbers are bold to make it easy to read the time even when in low light situations. 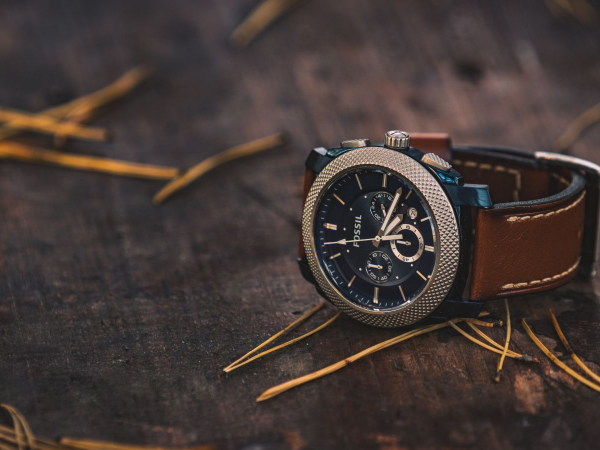 This watch also comes with a tachymeter and soft leather calfskin band. For it to qualify to be called a quality pilot watch, it must have several time zones. That means even if you travel across different time zones, it will still maintain its accuracy in time. The list of the best pilot watches is not comprehensive. There are plenty of them but we have just listed a few of them.